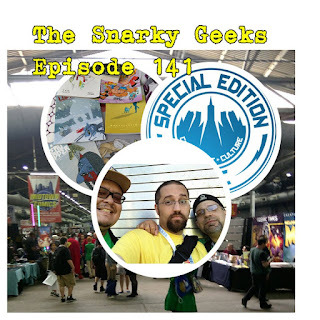 Snarky Geeks Episode 141 - ...Special Ed! The Snarks travel to the city to attend Special Edition: NYC! Listen as they regale you with their experiences. Andrew McLean, Head Lopper, Apocolypticgirl, Franco, Jesus Marquez, Nick Gibson, ZEN The Intergalactic Ninja, Reminiscences of cons old, .... you really have to listen to the whole show!